Our thoughts and prayers are with all those who are impacted by tragedy or disaster which we know is not enough. As School Social Workers, we are ideally positioned to provide critical services and support. Below are just a few resources to assist you in working with students, schools, families and communities. See also the links to crisis response organization websites contributing these articles for more. We hope these will be of some help. 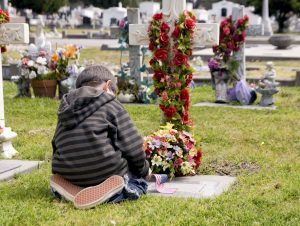 **Coalition to Support Grieving Students** “[A]n innovative multimedia resource designed to empower educators and school professionals in their efforts to support grieving students as they cope with loss.” Numerous resources. Read more. **Crisis Intervention Resources for School Personnel** (Password: ssw ) Developed by School Social Worker, Jerry Ciffone and made available with his permission. The documents are made available as a gesture of good will to assist school social workers and other school personal wanting to provide emergency mental health assistance to student groups in the aftermath of a student death or other critical incident. Permission is granted by Jerry Ciffone to download and print these documents for internal use only within the school system where the tragic event has occurred. Editor’s note: Excellent Resources. Includes crisis bereavement group intervention and debriefing by SSWs guidelines and MUCH more. Psychological First Aid Field Operations Guide Terrorism and Disaster Branch New York Office of Mental Health: National Child Traumatic Stress Network and National Center for PTSD, Psychological First Aid: Field Operations Guide, September, 2005. Psychological First Aid Online is a free 6-hour interactive course in the Learning Center for Child and Adolescent Trauma that puts the participant in the role of a provider in a post-disaster scene. Appropriate for those new to disaster response and seasoned professionals, PFA Online features activities, video demonstrations, and tips from trauma experts and survivors. This project was funded by the Substance Abuse and Mental Health Services Administration, US Department of Health and Human Services, the National Center for PTSD, and the the National Association of County and City Health Officials, and the HHS Office of the Surgeon General, Office of the Civilian Volunteer Medical Reserve Corps.